Michel Combes (51) became Chief Executive Officer of Alcatel-Lucent on April 1, 2013, joining the company with more than 20 years of experience in the telecommunications sector, as well as a strong international background. His appointment to Alcatel-Lucent follows four years at the global mobile communications operator Vodafone plc, where he was appointed CEO, Europe Region in October 2008, subsequently being appointed to the Vodafone board in June 2009. As CEO of Vodafone Europe, in charge of a business representing 70% of the group’s revenues, Michel led the group’s recovery in the region, steering it to regain its lead in two key countries, Italy and Germany, currently representing close to 50% of the group’s revenues in Europe. He speeded up the integration of several subsidiaries by merging their back office operations, streamlining IT and networks while keeping local sales dynamics. Michel’s career began in 1985 at France Telecom in the US, first in the External Networks Division and then the Industrial and International Affairs Division. 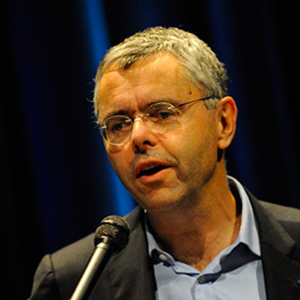 After serving as a technical advisor to the French Minister of Transportation between 1991 and 1995, Michel Combes became Chairman and Chief Executive Officer of the France Telecom subsidiary GlobeCast, from 1996 to 1999. In December 1999, Michel joined the French tour operator Nouvelles Frontières Group as Executive Vice President, before moving to the industrial engineering concern Assystem-Brime as Chief Executive Officer. Michel returned to the France Telecom Group in January 2003 as Chief Financial Officer and a member of the company’s Group Strategic Committee. Alongside Thierry Breton, Michel played an important part in the group’s recovery (the ‘15-15-15’ program, a key element of which was a Euro 15 billion debt reduction over three years). As head of strategy he ran the NExt plan, which enabled France Telecom’s transformation into an integrated operator. In 2006, Michel was appointed Chairman and CEO of the French national broadcasting operator, TDF Group. Born in Boulogne-Billancourt, in the western outskirts of Paris, Michel studied at the prestigious École Polytechnique in Paris and the Parisian telecommunications institute École Nationale Supérieure des Telecommunications. In addition to his position as CEO of Alcatel-Lucent, Michel is also a board member of MTS, Altice and HDL Development.